This garden was conceived as a contemplative gathering place for the women of Tunghai University, a place where they can begin to shape their goals and dreams in an academic setting. The natural and man-made elements in the garden are woven together, overlapping and interlocking to create an elegant courtyard setting. 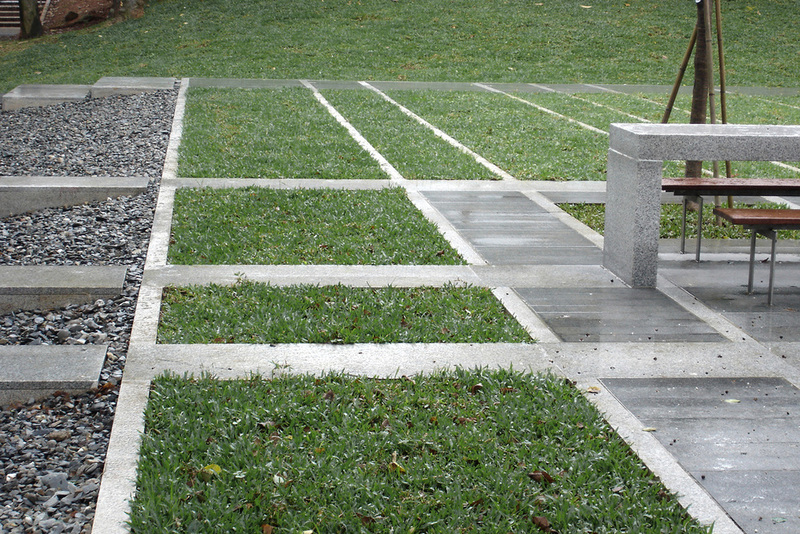 Pathways are stitched through the garden and, at times, become long tables where students can sit and dine or study; stone paving is woven together with planted areas. The “woven” garden is a metaphor for the educational experience at Tunghai University—a rich layering of acquired knowledge, inspirational teaching, and life-long friendships. Eight cherry trees form a grove around the seating area of the garden. A long water feature starts at the sloped west end of the garden and extends towards the dining hall. Water flows down a stone scroll with a poem dedicated to the alumna for whom the garden has been named. As it washes over the text, the water cleanses the sadness and loss that is mentioned in the poem; the water then passes under a path and extends down a long channel filled with river rocks. 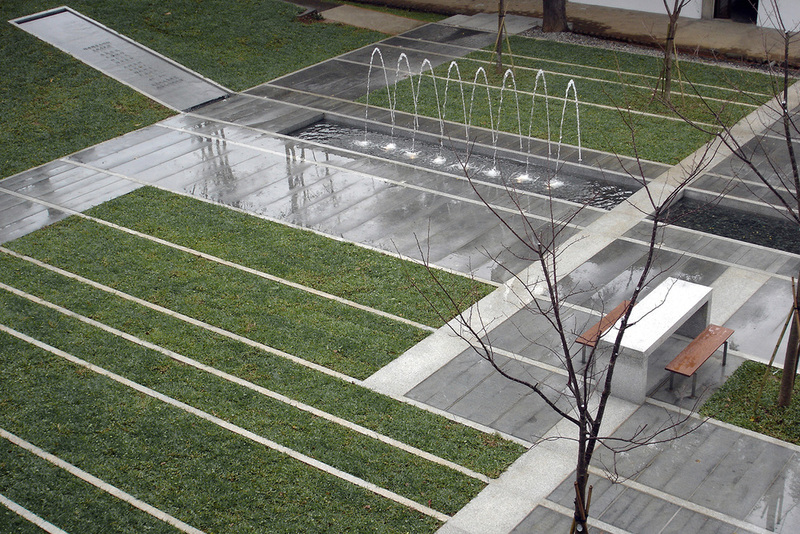 Eight thin jets of water rise up and drop into the water channel, marking the main path towards the dining hall and announcing a constant renewal of the spirit of the garden. At night the lighting creates an elegant glow throughout the garden, lighting the canopy of trees and each of the water jets. Recessed light fixtures in the paths guide students across the garden to their destinations.